With an aging population comes the need for healthcare workers and at the rate we are entering our pre-retirement and retirement years the demand will continue to grow. What this also means is that for some seniors, there is opportunity to become a healthcare worker to assist others in their peer group. The best part about the growing demand for healthcare workers is that there is a number of ways you can fit into this growing trend. 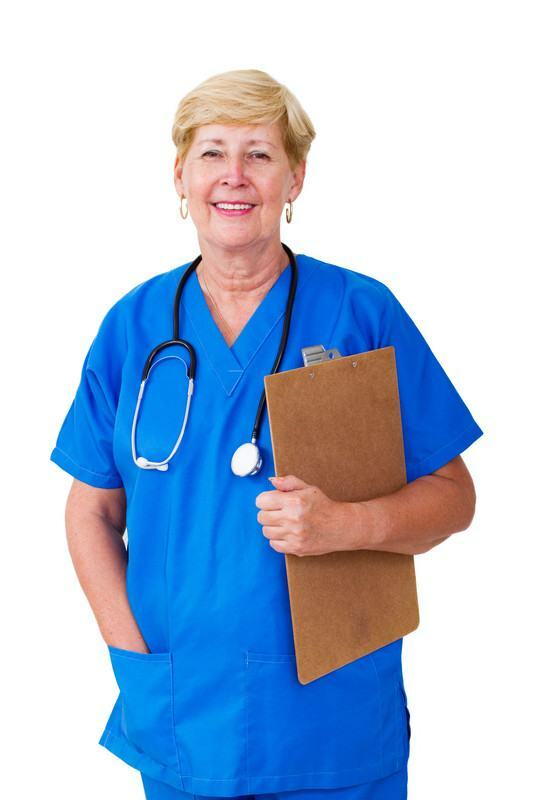 With a bit of training to satisfy the requirement of many employers to have a recognized certification, you can find work as a paramedical examiner, medical records administrator, medical assistant or homecare aide just to name a few possible positions. Naturally, if you have some of these skills already and just need to renew or upgrade your certification, you’re well on your way to a rewarding career in the healthcare field. If you have none of these pre-requisites and are nearing retirement, now is the time to start preparing by taking the courses necessary to earn your certification. A search online for ‘healthcare certification courses’ will reveal a number of possibilities even beyond the suggestions already made here. You may even find a match that compliments your current skill set or happens to fit in with an existing interest. With flexible hours and reasonable pay, becoming a healthcare worker in your senior years can be very rewarding. For example, Denise Teifel is a senior who works part time for a company as a paramedical examiner. Her primary function is to conduct medical exams to screen individuals for life insurance policies. She does this with only basic medical equipment that she takes on the road with her including a scale, tape measure, blood pressure monitoring cuff and lab kits containing sterile syringes and vials. As part of the screening process she may draw blood, collect urine samples, record height and weight measurements along with medical histories. She then fills out the required forms with the information collected and ships off the samples to a lab for processing. Then it’s on to the next life insurance applicant where most of the same information and samples may or may not be required. Just to give you some perspective on why this is a viable retirement option as a source of income, statistics show that 29-percent of the overall number of direct-care workers are expected to be 55-years of age or older by the year 2018. That is an increase from 22-percent from a decade earlier so this is clearly the start of a trend. In fact, when it comes to personal and home care aides, the majority of the workforce is made up of men and women who are 55-years of age or older. That means the aging baby boomers are becoming part of the solution by becoming part of a longer lasting workforce. Here’s more proof: Over one-third of the 60-thousand caregivers working through Home Instead (www.homeinstead.com) are over 60-years of age and another in-home care provider known as Visiting Angels (www.visitingangels.com) says 30-percent of their workforce is individuals over the age of 50. In fact, one organization, Seniors Helping Seniors, (www.seniorshelpingseniors.com) has embraced the changing age demographics of workers and designed their program on a model that revolves around the employment of senior citizens. What this means is there is ample opportunity to explore this as a possible option for a secondary income during retirement or maybe even as a new career that you can work at as long as you can providing you stay healthy and active enough to keep doing it. For more information on these opportunities, visit any of the provider networks listed above. 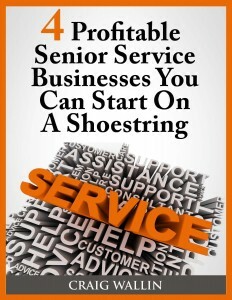 To discover more about starting your own senior home care business, visit www.seniorservicebusiness.com, where you can download a free ebook that covers this service business and three other home-based service businesses. Have You Considered A Food Truck Startup?